2) Placed both valyrian, non-valyrian, and their respective patches in same DL link. 3) Hopefully made applying the congencompatpatch idiot proof. Prove me wrong. 5) Added a loyalist dynasty, with its inclusion to the dynamic CoA system. The house is created via decision in the intrigue menu after you make the decision to found your house. 6) Added a flag to a certain dynasty that caused extended members to immediately fail dragon hatching attempts. This mod allows you to found your own noble house through a decision available on start up. 1) Does the problem persist with all but my mod deactivated? 2) Which mods besides mine are you using? 3) Have you made any changes to AGOT or my mod (besides the ones that I've provided a walkthrough for)? Without any of the previous information I cannot help and posting the effects of the mod incompatibilities won't help me figure out the issue without knowing which mod is causing the incompatibility. How do you know where I'm at when you haven't been where I've been. A custom house complete with its addition to dynamic CoA, house words, and a valyrian steel weapon and armor as artifacts. I have yet to test it with anything other than the following mods, AGOT Unsavory's Tools, AGOT Challenge To Duel, AGOT Bloodlines, Sinstar87's compilation mod AND Congenital Overhaul (Requires use of patch provided in the DL). They seemed to work with each other well enough. Because of the new additions to this mod, If you're updating to the newer version of this mod and want to keep your customization, you'll have to cut and past your additions from your old mod folder into the new one. Meaning, open the old mod folder > open the edited localization files> copy the specific lines you've edited and paste them into the new mod folder into the corresponding file of the same name. The only things you can copy over to the new folder directly are your artifacts images and your 'flags' NOT Coat of Arms. To install delete the old version and unzip the new version into mod directory, if using ConGen Overhaul copy all files in the folder labelled " congen compat patch " into the mod directory (the folder containing ALL the mods you're using) folder after unzip, then move/copy your edited files into the updated mod folder. This is my first mod so if there is any bugs you discover let me know and I'll try my inept hand at fixing them. To enjoy this mod there are a few things you'll need to have before you start. 1) a photoshop type program. I used GIMP to make the CoA and Dynasty flags into .tga files. Or you can just decide to use one of these two included in the mod. 2) Notepad++ or Wordpad to easily edit some localization to add your preferred house name and words into the mod into the mod. High Valyrian with all the fix'ns, coin flip, divine blood, a high valyrian dynasty, an inclusion into the dragon tame/hatch code, and the non-valyrian version that has the high valyrian goodies cut out of it. If you don't want to pick your own flag CoA/Dynasty flag rename, copy, paste, and overwrite one of the 2 flags included. If you like the white dragon flag go to coat_of_arms in the gfx folder make a copy of the .tga file named AGOTCustomNobleHouse , then rename it c_agot_custom_house then move it the the folder labeled flags in the gfx folder and overwrite when prompted to have it as your dynamic CoA. If you like the gold lion flag, go to flags in the gfx folder make a copy of the .tga file named c_agot_custom_house , then rename it AGOTCustomNobleHouse then move it the the folder labeled coat_of_arms in the gfx folder and overwrite when prompted to have it as your dynamic CoA. Now comes localization editing, each string looks something like this HouseWords_YourHouse;Live Life and Live it Hard! ;;;;;;;;;;;;;x Anything after the first semicolon and before the second semicolon you can change without messing up the localization. Ok now, open the mod folder, go to the folder called localization and open the file named 00_house_words and find the line that has the following: HouseWords_YourHouse. Enter anything you wish to be your house words after the first semicolon, save afterwards then you're done. Your badass house words will show after you slay someone in personal combat. If you want to edit the name and description of your valyrian steel weapons and armor (I know you do!) 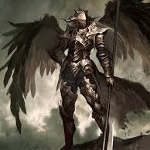 open the file AGOTCustomNobleHouse_localization find the section labeled Artifacts here it's straightforward, Wrath is the name of your weapon Ancestral Armor is the name of your armor. Enter/change whatever you wish just stay within a reasonable word limit or it wont show up in its description or name. Now for the final step with localization open the common folder then dynasties folder and finally the AGOTCustomNobleHouse_dynasty file. find the line that is as follows name="YourHouse" change YourHouse in the quotes to whatever house name you please (I suggest Snarf-mintz Plasse) then save and you're done with localization. Bloodlines. Or your bloodline. Open the localization file labelled AGOTCustomNobleHouse_localisation> press ctrl+f opening a search window enter 'bloodline' and it should take you to your localization. Make your changes save and exit it's essentially the same as the artifact localization. To add a custom graphic to your bloodline (one not included in the mod), open the gfx folder> interface folder> bloodlines folder> scale any image to 96x93 and rename it to "bloodline_yourhouse". The file must be a .tga file or it won't show. Essentially all I did to make the bloodline graphic was scale down the image used for the flags add it to the interface file and place it into the bloodlines gfx folder. If you've followed my steps you should be all set. go test your changes, hopefully everything went as expected. I chose a house in the north with the High Valyrian version, it changes the name etc. etc. but the culture is still based on the north etc. Thanks for making this, definitely gonna give this a go when I get a chance. Yeah. I left that out because I don't like having hundreds of silver haired douches running around Westeros. Just select High Valyrian in character customizer. Your Dynasty is still flagged as High Valyrian though, for dragon taming purposes. Wondering when i boot it up it dosent give me the correct coat of arms . i didnt change anything just to test .. it give the flag but not coat of arms. 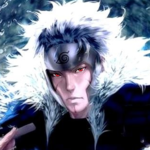 You most likely have another mod that alters AGOT CoAs file. Let me know what mods you got and I'll see if I can make it compatible. It'd be nice to add dynastic nicknames to this. Add your dynasty number, (As Shown Above In Bold) then save. It should work assigning Targ nicknames to your dynasty if you qualify for that nickname. I didn't bother adding this feature as everyone has differing visions of what their house sigil would be (and I would've posted my sad attempts at nicknames). Did some trial and error myself, and found that out of all my mods, only Congenital Overhaul fucked up the Coat of Arms. 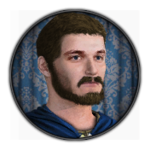 Open mods, AGOT Custom Noble House, common, dynasties, then the file AGOTCustomNobleHouse_dynasty, then edit the following. Turn the 22 into a 23 and it should be fine with Congenital overhaul, at least the CoAs will be fine, though you may not have house words or a valyrian dynasty flag. it doesnt appear any dinamic coat of arms, what can i do? Hi. I did this, but didn't worked. I'm using Congenital overhaul and Tubb's Better Faces. I'm not a good coder and I never coded for CK2, but is possible that I merge both submods in one to make they work together? EDIT: I was able to change the CoA to match what I wanted. For the actual house flag (the one to the right of your character you can actually customize) how can I change that to match the CoA? 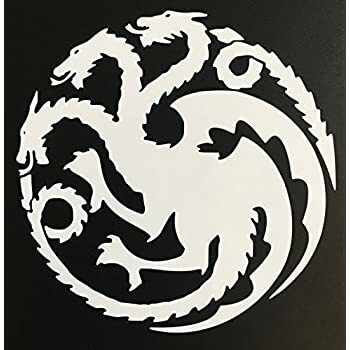 Since the Targaryen flag matches the actual character and not just Dragonstone, how could I do that with my character's house flag?